There’s a reason they call NYC the capital of the world. This concrete jungle takes a whole lot of getting used too, and unless you’re one of the lucky few, you’re probably still working on your whistle to hail a cab. Then there’s the greasy pizza, getting lost among identical blocks and never-ending sirens. But once you breathe fresh air again, you realise that every other city is just pale in comparison. Where else are can you be in walking distance of 126 Michelin-starred restaurants, broadway shows in 40 theatres and some of the world’s best museums? (We loooove The Metropolitan Museum of Art). To be young, wild and free in i-bee-tha. Ain’t no party like an Ibiza beach party. Just a few years ago, Ibiza managed to go from sleeze fest back to the party capital of the world — thankfully! You may have had your fair share of late nights and champagne anywhere in else the world, but a single trip to Ibiza will require more than a good brunch to perk you up in the morning. With non-stop day to night parties, headlining DJ acts like David Guetta and Calvin Harris, as well as amazing beaches, sleep will be the last thing on your mind in Ibiza, but the only thing you’ll feel like doing on your next party vacation. 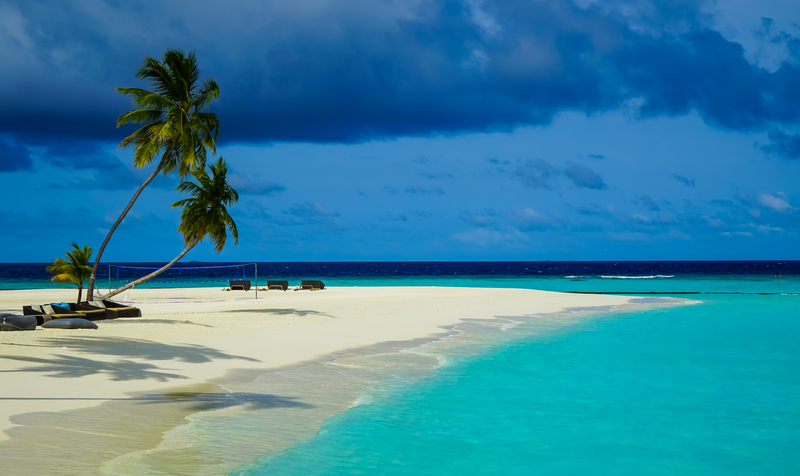 With private islands and secluded resorts, Maldives is one romantic honeymoon destination. Maldives is a beach destination that features on everyone’s bucket list, but until you dip your toes into its sparkling, turqouise waters, you have no idea what you’ve been missing out on all this time. And you better do so soon too, because the island is sinking as we speak. (Speaking of, you’ll want to check all these spots off your bucket list ASAP before they vanish!) Maldives is the snorkelling hub of the world, and with water THAT clear and shallow, it’s a fit for everyone. As King Francois once said, “Paris is not a city, it’s a world”. The beauty of the French language is indication enough of what’s in store. If you’re a woman, you’ll want to be BFFs with every Parisienne that walks past you on Avenue Montaigne and learn all their chic Parisienne ways. And if you’re a man, you’ll want to ..uh…learn suave the French gentleman’s way (more Olivier Martinez the hot actor than Pepe Le Pew). The city has all the attractions a discerning traveller needs: galleries, romance (ooh la la), rich culture and history, a gastronomy scene like no other, and architecture so chic and classy that you need to dress up just to meet the city’s standards! A casual morning at the Serengeti National Park. Think of the best zoo you’ve ever been too, then multiply the excitement by ten and voila, welcome to Tanzania, East Africa. There’s nothing like getting up close (but not too close!) and personal with wildlife — a safari is not something one generally does on a typical day after all. We’re fans of luxury, so here’s a list of the best African safaris. And if you’re really lucky, you’ll get to witness a wildlife birth, follow a pride of lions on a hunt or watch the great migration go by. Photo credits: Main, 1, 2, 3, 4, 5.